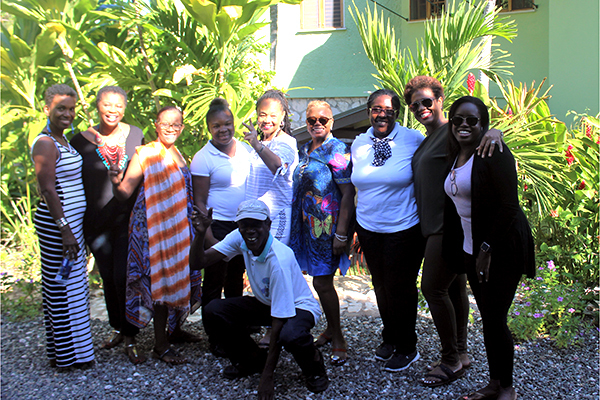 Seven Jamaican Women of Florida (JWOF) members realized the 2019 visit to Melody House in Irwin, Montego Bay, a home for abandoned and/or abused girls the weekend of January 18th, 2019. JWOF members, fondly named “Florida Aunties” are committed to being there for these girls who have been wronged, often by family members, and forced into adulthood way beyond their young years and social/emotional maturity. 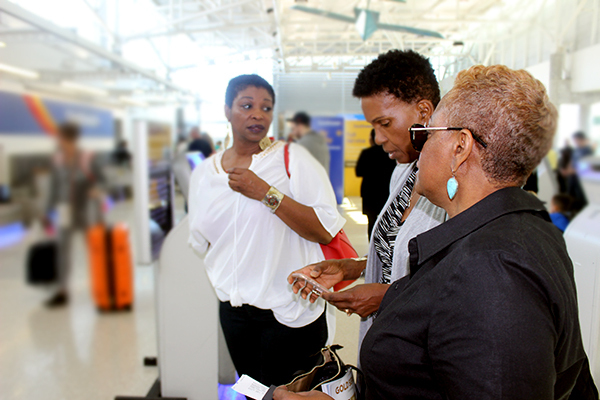 With great anticipation, the Aunties, including ‘first timers’ were well prepared by others, who made the annual trip, previously. How divinely appointed was it that there were 14 girls and seven aunties. Each girl was asked to share a ‘want’. They did. Each Auntie had two gift bags and using the presentation as an introductory opportunity, spent the next hour getting to know each other. Topics flowed naturally from courteous introductions to a deeper dive into the girls’ areas of concern and aspirations. Aunties shared their own teen years challenges and triumphs. With a teacher in the group, school achievements naturally became a focus. Communicating the importance of reading resulted in the mutual agreement to start a virtual book club. Discussing career goals presented the opportunity to mention the importance of school attendance, attention to grades and good behavior. There was an interesting discussion and practice on using formal English versus our well-loved patois. “There is a time and place” … was the advice in a nutshell. Transportation by Wright Choice Tours was, as always, prompt, cordial, safe and accommodating. 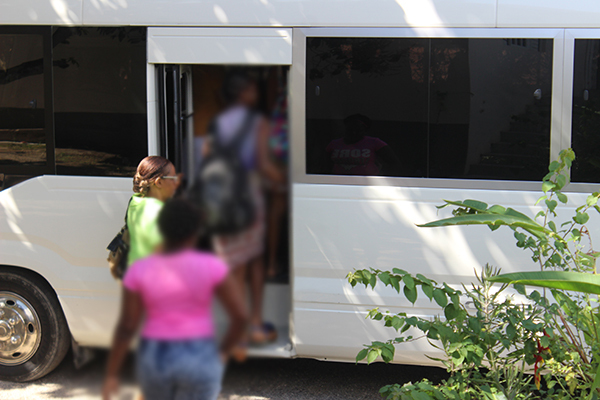 Happy girls, aunties and house mothers had a pleasant ride to Doctors Cave Beach for an afternoon of fun, welcomed relaxation and a perfect space for further conversation as the girls and aunties continued to get to know each other. The house mothers provided useful information about the girls particularly their preferences and practices. One JWOFer, a former St Hughes swimming champion, in what seemed like no time, had girls swimming like pros, a life skill no one can ever take from them. Hunger pangs accelerated a slightly earlier than planned departure. KFC was the choice. To accommodate the special occasion, house mother Auntie Barbara allowed the girls and their aunties to choose their own unique spot to eat and chat. Laughter, tears, hugs filled the mealtime sharing moments. And with all good things, there comes a time to say good-bye. Aunties used the final moments to seal the bonds that had been created. The girls had the opportunity for final thoughts. One of the girls who clung to me since arrival indicated she had something special to share. We met during the 2018 visit but now our connection was strong. She acknowledged her initial reluctance to share openly but felt the need to now disclose a painful experience. Through tears and hugs we shared our experiences of being raped with a firm resolve to move on to a better place. We agreed never to allow anyone to mistreat and/or disrespect us and committed to continue supporting each other beginning with the exchanging of cell phone numbers. Such was the experience with several of the aunties and their girls as we completed emotional good-byes. The bus ride back to the delightful Point of View Villa and Spa in Reading was emotionally charged. 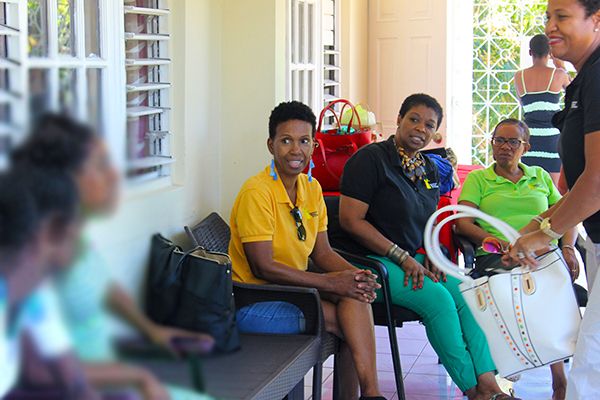 Aunties shared their experiences with the girls and recommendations for JWOF to provide further assistance. Consider supporting JWOF with a donation to cover expenses for the purchase of schools supplies and basic essentials for the girls of Melody House. Remember, your donation is tax deductible. Simply choose Melody House from the list of options. Click the button below to donate.